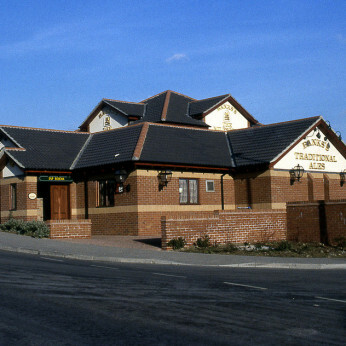 The Milestone pub has been a feature at the Crystal Peaks shopping centre for over 28 years. The Milestone is a friendly pub where you can find a good choice of drinks and a great menu and tasty homemade specials. The live music makes it popular with locals. It has a tap room with a juke box, quiz machine, pool table and darts board. It is now under new management from Karl & Lesley and has had a mini refurb inside. Come and enjoy the next Milestone at the heart of the community. We have a great selection of ales from breweries such as Marston's, Wychwood, Jennings, Brakspear, Thwaites, and Ringwood. Ales are available on hand pull and in bottles.